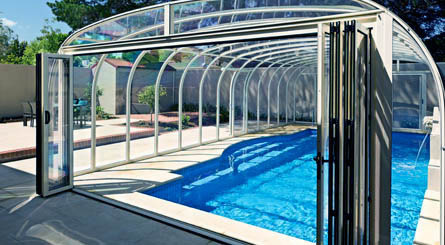 Remco is Australia’s leading manufacturer of Swimming Pool Enclosures. Remco’s huge range of custom built enclosure products keep pools safe, clean, warm and exceptionally economical to run. Best of all, it is easy for our pool enclosures to be opened up by one person, manually or even electronically when required, which means you can make it an outdoor pool again at any time you want! Our Remco Enclosure has turned a pool that was rarely used into year round favorite with the whole family – not just the kids! Swim all year round! To protect swimmers from the elements on inclement days, simply close or partially close the semi-separate elements. These elements stack telescopically, sliding compactly into each other, leaving the outdoor pool feel when the weather suits. Reduce all pool running costs to a fraction of what they are now. Remco Pool Enclosures will seal out all leaves, dirt and debris keeping your pool completely clean all year round. 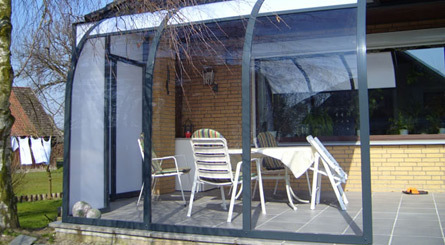 With the enclosure in place, the heating costs are greatly reduced and the structure will also assist in heating the pool. Evaporation is eliminated and so too the chemical loss with it. Child Safety; What better way to lock up the pool? 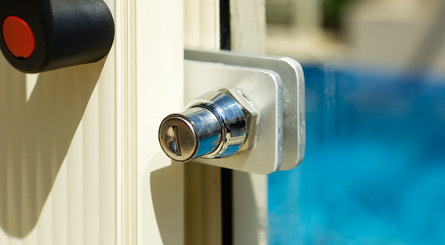 Remco pool enclosures are equipped with childproof locks, making sure children and pets are totally safe. 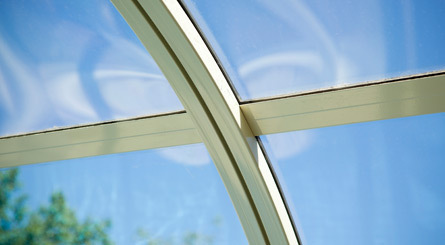 Remco pool enclosures are built with high quality polycarbonate that blocks out 98% of the sun’s harmful UV rays. High profile – a real pool room. Enough head height to throw a party underneath! Remco enclosures are manufactured in Australia under license to Germanys’ leading enclosure manufacturer and display the characteristics of good design and solid engineering. All models are designed to strict international standards. 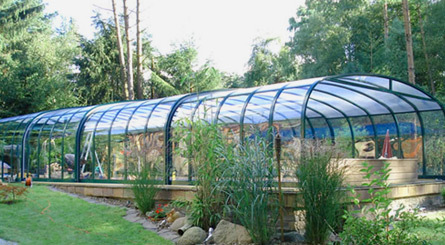 Many other applications are possible for this type of structure, eg Sunroom, Veranda Enclosure, Restaurant el fresco area enclosure, River cruise Boat Enclosure or Greenhouse. For expert advice, please contact us regarding your particular application and we’ll design a purpose built structure for you.